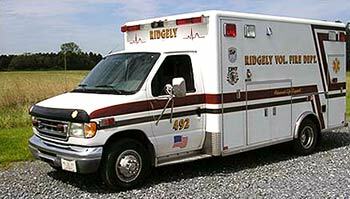 The Ridgely Volunteer Fire Department EMS Division began limited Basic Life Support service in 1973 beginning with the purchase of a 1973 Oldsmobile (Cadillac style) Ambulance. In 1988 the department began providing Advanced Life Support services to the community, and was proud to be one of the first departments in Caroline County to do so. Currently we are staffed by members who are certified by the State Of Maryland as EMT, EMT-I, and EMT-Paramedics all of which are dedicated volunteers.